OHSWEKEN, Ont. 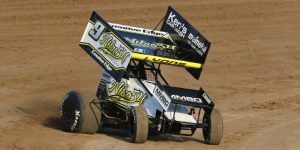 (December 29, 2018) – The annual Rod End Supply Winged 360 Sprint Car Top 200 Rankings were released earlier this week with eight Ohsweken drivers qualifying for the annual year-end ranking. On top of the list is Sunnyvale, Texas driver Sam Hafertepe Jr. who won the Lucas Oil American Sprint Car Championship and finished fourth in this year’s 14th annual Canadian Sprint Car Nationals at Ohsweken. The top-ranked Ohsweken driver at eighth on the list is Scotland, Ont. wheelman Dylan Westbrook, who claimed the Kool Kidz-Corr/Pak 360 Sprint Car championship at Ohsweken for the second straight year. Westbrook earned 11 total wins across all 360 Sprint Car competition to earn his highest ever spot on the list, topping his previous best of 10th. Next on the list from the Ohsweken contingent is Cory Turner at number 51. The Caistor Centre, Ont. driver had two victories on the season, one of which came at Ohsweken on June 15 before a victory with the Southern Ontario Sprints on July 7. Overall, Turner collected two wins, 12 top-fives and 22 top-10 finishes in 28 starts behind the wheel of the Hill’s Racing No.97 to claim the 2018 Southern Ontario Sprint championship and third overall in Ohsweken points. Turner’s previous high on the list was 76th. Also in the top 100 is Caistor Centre, Ont. driver Ryan Turner. 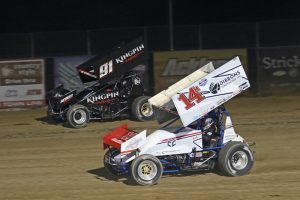 The younger of the two Turner brothers had a career-best season where he earned his first career 360 Sprint Car win on July 28 in Southern Ontario Sprints action at Brighton Speedway while also finishing sixth in the Ohsweken standings. It is the first time Ryan has cracked the top 100 on the Rod End Supply Winged 360 Sprint Car annual rankings. Jim Huppunen, the Ohsweken Speedway point runner-up, checks in on the list at number 114. Huppunen had another consistently strong season. Although the Fenwich, Ont. driver did not claim a win, he was consistently on the podium and finished 14th at the Canadian Sprint Car Nationals. Three spots below Huppunen at No.117 is 360 Sprint Car rookie Mack DeMan. The Mississauga, Ont. driver was nothing short of exciting in his first season behind the wheel of the Nathan Ackland Racing No.17x. 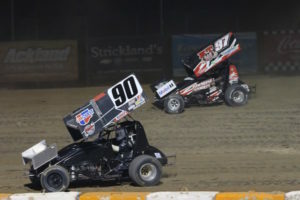 DeMan’s learning curve was short as he raced to his first career 360 Sprint Car win on June 29 and finished fourth in the Ohsweken weekly standings. Mikey Kruchka of Hamilton, Ont. drove to a ranking of 141st in a partial season behind the wheel of the iconic Glenn Styres Racing No. 0. Kruchka impressed by driving to a win on August 31, 2018. St. Catharines, Ont. pilot Chris Steele made the list at No.152. ‘The Real Deal’ was 12th in the overall Ohsweken standings. At No.175 on the list is Pain Court, Ont. native Tyler Hendricks. Hendricks was having his best season to date in weekly competition at Ohsweken and travelling locally before an injury in August ended his season early. The final Ohsweken regular to crack the list is Carlisle, Ont. native Steve Lyons. Lyons was in the mix for a top-five finish most night and ultimately finished the season by grabbing fifth in the overall point standings. Also on the list are two former full-time Ohsweken drivers. At 61st is Brantford, Ont. driver Mitch Brown. Brown did not have a win in 2018 during a season that saw him race with a half-dozen different sanctions all across North America, but did collect his fair share of top-fives. 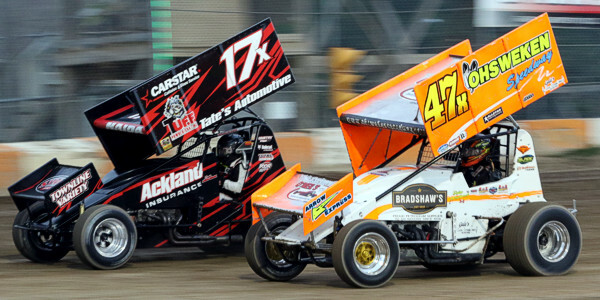 Mitch made a half-dozen starts at Ohsweken in 2018 and drove to an eighth-place finish in the Canadian Sprint Car Nationals after starting 26th. At No.157 was his younger brother Jake Brown, who competed six times at Ohsweken and earned a win with the NRA Sprint Invaders at Fremont Speedway. Other Canadians on the list include St. Mathieu-de-Beloeil, Que. driver Steve Poirier (No.8), Winnipeg, Man. hotshoe Thomas Kennedy (No.24), Brockville, Ont. wheelman Matt Billings (No. 101) and Quebecer Jordan Poirier (No.147).